Do you remember those signs that used to crop up on office walls? “You Don't Have to be Mad to Work Here / But it Helps.” I always suspected that they were the hallmarks of a rather aggressive sanity. There's a type of person too – happy to announce “Oh we're all quite mad, you know!” – when one knows quite well that they're not; they're just a bit loud and attention-seeking and probably SMUG. I almost lost my sense of humour when I noticed members of a writer's group cheerfully claiming to be “mad”. Mental illness is so un-funny and I've usually assumed that most of us write to remain sane, to make some sense of our experience of life – to try to keep the madness at bay. Dementia is (currently) an incurable mental illness which gradually takes away the ability to read, write and speak. Last year I read Naoki Higashida's autobiographical The Reason I Jump: One Boy's Voice from the Silence of Autism and found unexpected insight into aspects of my mother's Alzheimer's. Recently, reading a book about Alzheimer's has shed a surprising new light onto story-making. 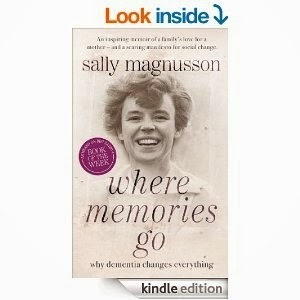 The book is Where Memories Go, Sally Magnusson's account of her mother's dementia. It's a fine book and deserves all the praise it has received. I avoided it initially as I struggle to retain my emotional balance through the challenges of my own mother's illness and I'm still not certain that I'd urge it on anyone else who is currently directly responsible for the care of a dementia sufferer. Sally Magnusson, her sisters, wider family and carers were heroic and extraordinary in their efforts to see their mother through the last grim stages of Alzheimer's and safely into the good night. Yet her suffering was profound and the later sections of this book struck a chill into my heart. Usually I like to know what I'm letting myself in for. Magnusson offers a particularly clear explanation of the invisible sequence of neural devastation that begins by laying waste to the brain's frontal lobe (responsible for insight, planning, organisation, personality, initiative), then the two temporal lobes (processing and interpretation of sound, formation and understanding of speech), followed by the parietal lobes (integrating input from vision, touch and hearing) and the occipital lobe at the back of the skull (responsible for the processes of vision). This helped me, for instance, understand why dementia doesn't content itself with stripping away the capacity to recognise things, places and people. Its cruelty goes further as it offers delusions and hallucinations as the disease progresses from the front to the back of the skull. Neuro-imaging has begun to show that similar neural systems underpin both remembering and story telling, so it is not really surprising that when memory, mutable enough at the best of times, goes wrong, stories are prone to take over. There is even a name for this – confabulation. When key memory functions are damaged, imagining a possible explanation for an unsettling experience is a perfectly understandable response. Since the monitoring systems in the brain that would normally reject an explanation as implausible are also playing up, the explanatory story is likely to be experienced as the genuine memory..
We've all heard of False Memory Syndrome and probably most of us shy away from this troubling concept. “You mean I'm lying?” says Mum. “No, Mum, not lying ... misremembering.” It's a tricky distinction to grasp even when one's at one's most mentally robust and confident. I think it's also a little like the fact / fiction distinction when one's imaginary world seems more “real” than actual daily life. "Similar neuro-systems underpin both remembering and story-telling." My heroine Margery Allingham, growing up in a writing household, claimed to remember an outraged housemaid snatching a childish story from her hand, exclaiming. “Master, Missus and the visitors from London all sitting in their rooms writing LIES – and now you starting!” There's nothing quite as organised in a brain that is being shredded by Alzheimer's but the elaborate narratives that are spun by my mother, Sally Magnusson's mother and countless other dementia sufferers deserve a better descriptor that “false memories”. I like "confabulations" even better than fictions. For better or worse they sound Fabulous. A wonderful post. I'm looking out for my old godmother (in the absence of any other family) and am still trying to get the grips with the unpredictability of it all. I agree that 'madness' (terrible term) isn't at all funny. But confess to occasional bouts of grim humour that helps to get me through. Nothing I'd ever publish, or even be remotely proud of. But sometimes laughing is the alternative to weeping all the way home on a train. You're right Jo. Even mum and I manage lots of laughs. By the way Jo, the book I found most helpful in improving my attitude to mum was a book called Contented Dementia. Loads of guff in it but really brought home to me the iceberg of concealed and terrifying anxiety that dementia suffers feel as they notice themselves losing the ability to funcution. It persuaded me to be a lot more patient, to stop incessently correcting her (well, most of the time!) and to treat our endless circumluctory conversations as long rallies of ping pong. Sally M's book really is very good but desperately painful and I felt so inadequate afterwards. Music is THE BEST - and for mum animals (esp pony) are such a comfort. Good luck to your godmother and you. Fascinating post, which I wish I'd been able to read when my mum was still alive. Julia, your use of the word 'cruel' for this disease is distressingly apt - cruel not only for the sufferer but for those witnessing it all. This is a very moving post and, as so often, I don't have the words to convey how it makes me feel. Sending good wishes (but I don't know for what) is hopelessly inadequate but it's all I can do. Julia, just hang in there. Dementia is awful for all concerned. The only good there is, is in forcing us to view the world differently,and so we learn. But at what a price. I totally agree with you on the mis-use of words like 'mad', 'moron', 'retard', 'schizo' etc - especially as people who work with words I think we should be a lot more careful in how we use stigma terms. I used to be as bad as anyone, but when I started to know 'real' people to whom such poison words were applied and the devastation it caused them, I soon stopped! But the whole narrative, memory thing is truly interesting (when in abstract - just distressing when a daily part of life) Narrative psychology has a lot of interesting elements to it and the 'stories' we tell. And your post is very interesting in adding to what there is to know and say about it. We can't 'cure' dementia (yet) but at least by learning we can learn how to deal with it better - which is the least we can do for people who are blighted by it. Sending you good thoughts and thanks for opening up this to us, to help us think and talk about it. And lots of love to your mum. there is actual loss of brain tissue and also destruction of connections and pathways between neurones. my mum and myself had lots of laughs too. her sense of humour was actually enhanced despite feelings of intense fear and anger at times. as you know Julia I've done a lot of research with neuroscientists and pathologists into dementia, after my mother's death from AD. I just want to say, I'm not personally in favour of using the term 'mental illness' as it's not really accurate and can be misleading. Dementia is simply brain damage, physical brain damage, just like someone who's been in a motorbike accident, or had a stroke. Perhaps I use the terminology wrongly, Valerie, but mum has also suffered from mental illness through my life and Im being urged to talk to the doctor about anti-depresents for her. Mental ilness is also physical / chemical and perhaps in mum's case continues to give its own flavour to the dementia - part of her overall personalty. I think everyone's experience of AD (or other dementias -she also has vascular) varies according to their individual selves -as you show in your book. On a more pragmatic note Sufolk Council categorise her as suffering from severe mental illness and let her off paying council tax! Thanks Lee and Bill and Cally for your support. I'm sorry Lee that there wasn't as much discussion and support when you were going through this. It definitely helps, even when it hurts. Saly M has some staggering statistic for the economic size of the dementia 'market'ie the care industry costs and the loss of productivity and all that sort of thing, which of course I can't remember - being rubbish and remembering statistics. Yet the frightening thing is still how POOR so much of the care is and how little (proportionately) is being invested in research. Thank you Cally for your recommendation, ages ago of 'And still the music plays' which I found so much more enlightening than the much praised Keeper. Thank you for sharing. A deeply moving, provocative post. Yes, Julia, a wonderful post. My mother had dementia and I can well understand how things are for you. Kay meets many dementia sufferers in her work as a carer: each one is different and needs a different approach. Among other things, she has found 'Contented Dementia' a very useful book. Rosalind Oates, a young writer whom I mentor and who is also a medical researcher, has a grandmother with Alzheimers. They have been working together on writing poetry. The results are very interesting. The grandmother is retrieving and formulating many lost memories and though they may be 'false' they are beautifully expressed and moving - and give her much pleasure. Roz is just starting a PhD on dementia. Poetry as a form of not merely therapy but as enabling constructive achievement and a way of tapping into lost events are at the centre of it. Thanks Dennis. 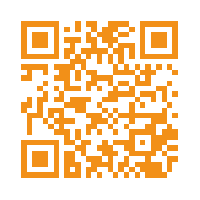 You might like to point Rosalind in the direction of Val's Changing Age, Changing Minds book which was published by Newcastle University's Institute for Ageing and Health and which includes some of the poems she wrote with dementia sufferers. I didn't know Kay was a carer. Yet another reason for wishing you lived in East Anglia! Thank you too Reb for kind words.